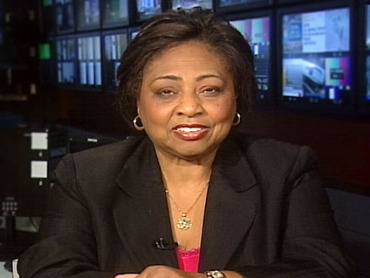 *Evelyn Gibson Lowery, founder and chair of SCLC/Women’s Organizational Movement for Equality Now, Inc. announced today that former Georgia State Director of USDA Rural Development, Shirley Sherrod; actress Jasmine Guy and entertainer Fonzworth Bentley are among the honorees during the 32nd annual Drum Major for Justice Awards Dinner on Monday April 4. Held in honor of Dr. Martin Luther King Jr. on the anniversary of his assassination, the dinner will take place at the Hyatt Regency Hotel in downtown Atlanta. For ticket information call (404) 584-0303. Dr. Bill Releford, a leader in the field of diabetic limb salvage and founder of The Black Barbershop Health Outreach Program, will also be honored. Other honorees include Real Men Cook for Charity, a national Father’s Day event held to positively change the way the world views black men; and the first black all-female flight crew: Captain Rachelle Jones, First Officer Stephanie Grant, Flight Attendant Diana Galloway, and Flight Attendant Robin Rogers. Recipients of the Presidential Medal of Freedom in Civil Rights will also be awarded including, civil rights icon, Dr. Joseph E. Lowery; former Atlanta mayor and U.S. Ambassador, Andrew Young; and Congressman John Lewis. Entertainment will include a performance by 10-year-old Kirlisa Broxton, winner of a talent contest held during the recent Evelyn Gibson Lowery Civil Rights Heritage Tour.